Terrin and Hal held their epic Flowerdale Estate wedding in the Spring of 2018. We were blessed with one of the most beautiful days of the year and these guys, together with their amazing guests, many of whom had traveled over from the UK, knew how to make the most of it. They got together for a first look under the oak tree and from then on, we basically spent the rest of the day drowning in the wake of happy tears. Their down-to-earth, love-analogy-sparing, straight-to-the-core celebrant Nat Sproal, whom I am so happy I had the pleasure of meeting and rocking out with, took us through their shared history. It was filled with romance, hilarity, and educated us on the great trait of “pulling a Marsden” – to arrive at the end of the hard work and offer to help. I must confess to having Marsdened on the odd occasion involving housework and find it so much more endearing now that it has a great name. Give it a try. 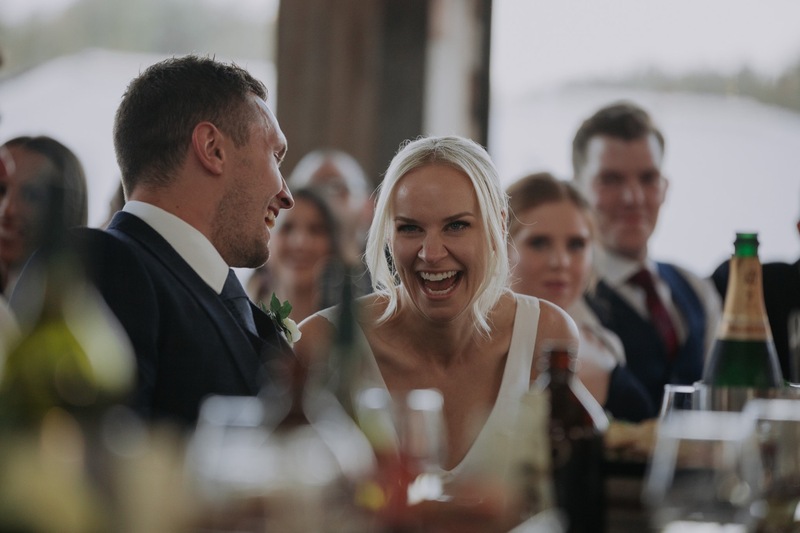 The speeches had us in stitches and left us completely smitten with the love that Terrin and Hal share. It was a really special moment, as the night reached its close, and the nearest and dearest circled around Terrin and Hal, all singing the last song “hey Jude” as Hal held Terrin and whispered the song in her ear. I wish you two all the best for the future, and Hal, I can’t wait fo you to Marsden when Terrin and I finally finish the album design.